I like Jacksonville. I really do. And that’s what makes it so hard for me to move, but I recently came across an offer that I can’t refuse so this might be the last you hear from me. Here’s the deal … Piano sales in the U.S. continue to drop every year while the Chinese are purchasing more and more keyboards. At the end of last year they surpassed us in piano purchasing power and now take hold of 80% of the world’s pianos. However, since music was shunned during the Chinese Cultural Revolution an amazingly small number of Chinese who purchase pianos today can’t play them. China now has around 600,000 pianos and with a growing middle class of 200 million, the Cadillac of pianos, the Steinway, is a top seller. Since so many Chinese want a piano and so few can play the darned things they are looked upon as a good investment. Thus, the invention of the Spirio. 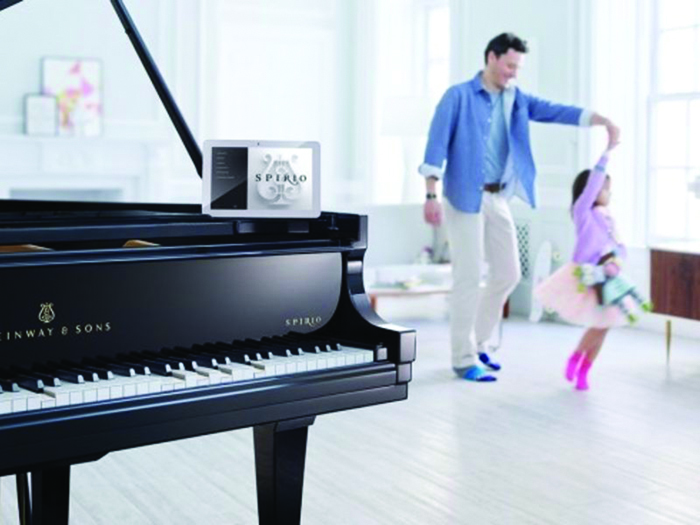 Steinway now offers a full-sized grand piano called the Spirio which not only plays itself, but it will mimic the style of various pianists when hooked up to an iPad. Very soon Billy Joel will be able to play a concert at Madison Square Garden as a Spirio in Beijing sits there and knocks out exactly what Joel is playing a world away. For a cool $147,000 the Spirio is yours, the spirit of Billy Joel included. Bottom line: bunches and bunches of up and coming Chinese families will be shelling out big bucks to have a piano played live (sort of) in their own living room. That’s why I think I may leave my beloved Jacksonville and move to China. I don’t have much of a head for business (I was an English major at I.C. ), but I think I may have a scheme figured out that will make my retirement more cushy. You can buy a top of the line electric piano for a thousand bucks. If I could convince even a tenth of the middle class in China to purchase one of these and instead of buying the Spirio, hire me to come play in their parlor at say … $5,000 a shot, this would still save them $141,000 over the cost of a Spirio. One-tenth of two hundred million is twenty million times $5,000 leaves me with a cool one hundred million dollars. This is even more than I currently earn with teachers’ retirement, and if I couldn’t get all the Chinese piano households covered then I could pay out half my income to hire some help leaving me $50,000,000 a year … still enough to buy some really nice socks and lots of noodles. Even if I run into some strict traditionalists who insist on having a real Steinway in their breezeway then they could pick up the company’s basic Model D for $78,000, still leaving me $64,000 to play with. As far as I can see this plan is foolproof. China is loosening up and I’d like to be among those applying the oil. Mattel, the toymaker, has entered the Chinese market with products like Violin Soloist Barbie. No, I’m not making this up. But you may say, “Ken, you’re no Billy Joel.” Honey, for fifty million a year I’ll practice. I promise. I’ll even buy a new suit suitable for any Chinese living room. While the United States continues to cut funding for the arts, China is pouring millions into new performance halls and if the hall is big enough, and your seat is far enough away from the stage, I might even be able to impersonate Billy Joel or Elton John. … I mean, in a certain light. I even have a piano tuning kit; 600,000 pianos at what I currently pay, $95 a whack, would bring me another cool $57,000,000. This would give me something to do in the mornings when perhaps most Chinese wouldn’t feel like listening to a concert in their living room. I’m not very good at tuning pianos but I figure I can rake in a few million before anyone is the wiser. I can always tell them that I’m using Western Style tuning. Okay, this brings me to a grand total of $157,000,000. I think that I could live on that, even if the price of wontons goes up. I’d hate leaving my little brick bungalow on Sandusky but sometimes sacrifices can be made for a hundred and fifty-seven million. Jacksonville has perhaps a couple hundred piano players and in terms of ability I rank about 187, just above a few fifth-graders who’ve just begun taking lessons, but my lack of skill doesn’t matter. I’m the first one to get this great idea. Billy Joel, eat your heart out.